"Treat people as if they were what they ought to be, and you help them become what they are capable of becoming." Nurse Leadership Enrichment and Development (LEAD) is an online training program to help charge nurses and team leaders in nursing homes become more effective coaches, leaders and supervisors of hands on caregivers. The cost is roughly $38 per person. We recommend that all managers take the course so that the mid-levels can be supported as they learn new concepts and empowered to lead their teams.The program consists of seven modules. This program is intended to be completed at the learners' pace. Each module contains brief homework assignments and culminates with a 21 multiple-choice question quiz at the end. Please note, this program is being transitioned to the LeadingAge Learning Hub and will be free for LeadingAge Members. LeadingAge Kansas' Center for Leadership is a year-long leadership intensive for individuals working in LeadingAge Kansas member organizations. The participants are chosen through a competitive application process and demonstrate a desire to grow their leadership knowledge in aging services. After completion of the program, they are designated Kansas Fellows and are becoming excellent leaders in our field across the state. The program is 100% member-led with a LeadingAge Kansas staff liaison. Lynda.com is an online learning for your entire company. Through it you can develop talent with expert-led courses on thousands of topics in the areas of Leadership , Business, Accounting, basic and advanced IT and more. It is focused on general business, but the key concepts are the same regardless of setting. There is a small fee to join, and it is much less than most online platforms. You will wonder where this has been your whole life. Upskill your workforce: Help employees sharpen their business skills and be more effective. Develop managers and leaders: Grow your leadership pipeline of new managers, experienced managers and high potentials. Offer career development opportunities: Engage and retain employees by investing in their development. Scale training across your organization: Cost-effectively train employees located anywhere with on-demand training. Kahn Academy is a free online platform that is generally used for primary and secondary education, however it can be used to teach your employees personal finance, one of the soft skills that they need to succeed in life. Duolingo is a free online learning platform to help individuals learn a new language such as English, Spanish, French, Italian and German and provides a lesson-based structure in which you gradually learn new words and grammar. The site integrates visual, audio and written learning, so you become comfortable with the new language as a whole. Using Duolingo feels like playing a game, but after completing the full track of a language, you’ll be able to carry on a basic conversation. Soft Skills Certificate Program -- from edx.org (take all the courses or take those most pertinent to you. View the LeadingAge Kansas Education/Event Calendar to see all of our upcoming training. Balance your career and education with our innovative, flexible, and cost-effective online program. Earn your bachelor’s degree in our 12 or 18-month program that fits your life as a busy working professional. You will receive a complimentary transcript review and academic plan. Transferred credit hours will never expire and you may transfer up to 92 credit hours! Our curriculum is built upon your knowledge and experience as a Registered Nurse. All classes are by faculty who are working professionals just like you and who understand what it takes to be successful. 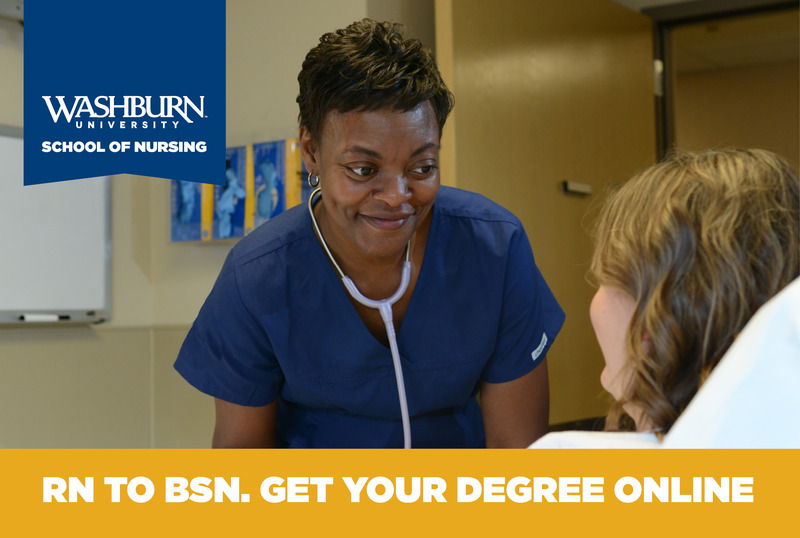 If you are ready to take the next step, visit www.washbburn.edu/rn-bsn or email [email protected] to learn more. LeadingAge Kansas' Foundation hosts a scholarship program underwritten by generous donations from individuals and businesses to provide scholarships for member employees to advance their education in aging services. Since its inception, we have given out approximately $30,000 to deserving individuals across the state.